The season of Spring sparks creativity, new beginnings, and change. 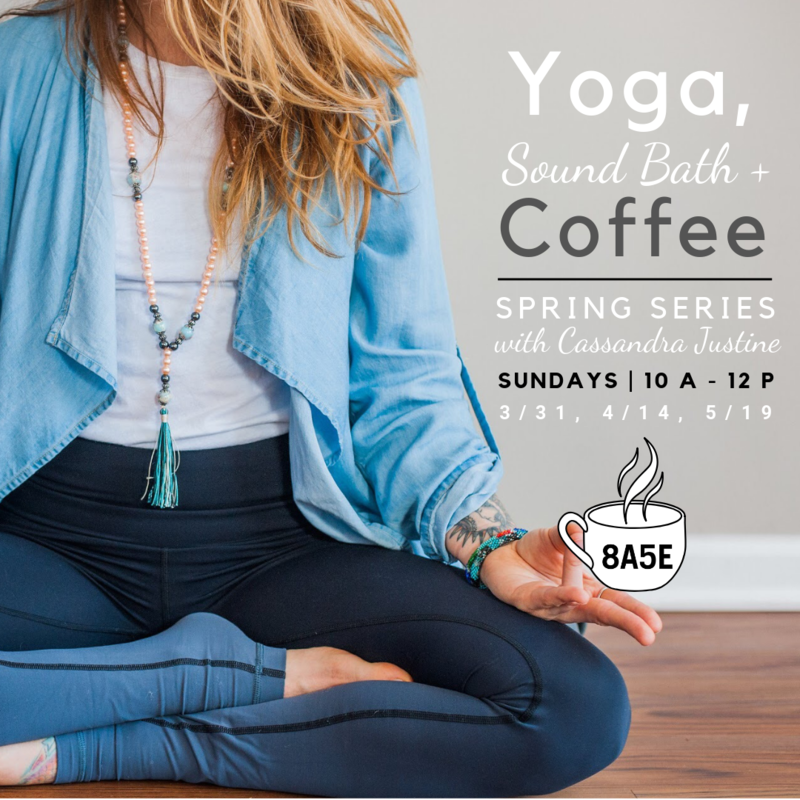 Join Cass at 8A5E Cafe + Venue one Sunday a month in March, April, and May for a Spring Series that will move you through a grounding, chakra-themed yoga class and quartz crystal singing bowl sound bath.​ All are welcome! Come as you are. Guests will receive a complimentary coffee and vegan snack.